Should You Buy a Laser or an Optical Gaming Mouse? Whether you’re downloading a file, working on an important task, surfing the web, it can be annoying when your internet connection suddenly stops working. Many things may have caused this, but the most common root cause is the DNS server not responding error. The first thing that you may do when you lost your internet connection is to unplug and replug the LAN cable, reset your router, or run a network diagnostics test. If the 3rd option was still unable to fix the problem, a window would display one of the following messages. Your computer seems to be configured correctly, but the DNS server or device is not responding. The DNS server is not responding. If your computer is displaying any of these error messages, you may be facing one or more of the issues below. A defective modem or router. Whatever the root cause is, you cannot restore your internet connection until you resolve the issue. When the built-in troubleshooter fails to solve your problem, it’s up to you to find a solution. You can either contact an expert or your service provider or try the following means to reconnect to the internet. To do this, launch windows’ command prompt. You can open it by typing cmd in the windows search box and pressing enter or by pressing the windows key and R simultaneously. Then, type cmd and press enter. Next, copy and paste or type in this code: netsch winsock reset. After that, hit enter again, and then, reboot your computer. If the method above doesn’t solve the issue, try renewing your IP address by entering ipconfig/release on the command prompt. Next, type ipconfig/renew and press enter. You’re not done yet, so don’t close the command prompt. Once you have renewed your IP address, you need to flush the DNS. To do this, type ipconfig/flushdns on the cmd and press enter. After running all the commands, restart your PC. Change your DNS Address to Open DNS. To do this, open network and file sharing center by clicking the network icon on the windows taskbar. After that, tap network and sharing center. A pop-up window will appear. Select properties and click “internet protocol version.” On the new window, click "use the following DNS server addresses." Then in a DNS server box, enter 208.67.222.222. In the box adjacent to the first one, enter 208.67.220.220. Lastly, validate your settings by clicking the ok button. You may also use Google DNS servers (8.8.8.8. and 8.8.4.4) instead of Open DNS. To reboot your router, access your router settings, go to systems tools, and tap the reboot button. Admin is the default password and username. To reset your router, unplug it from the outlet, wait for five minutes, and plug the router into the power source again. Wait till the router turns on before loading a webpage. Antivirus programs are for protecting your devices from malware and computer viruses, but they can also block internet access. Most AV software programs function using dat or database files. Software vendors update dat files regularly. They’re designed to not interrupt work. But when the update is not installed properly or a dat file becomes corrupted, the anti-virus program may malfunction. It can block internet access, trigger false alarms, and report false positives. Other than blocking your internet access, false positives can also make your computer report the DNS server not responding error message. To see if your anti-virus is the cause of the problem, disable your antivirus program, re-run windows network diagnostics or restart your PC, and try loading a webpage. If it’s the one giving you connectivity issues, contact the vendor for technical support. Try disabling your firewall and run the windows diagnostics tool again to see if this solution solves your network issue. When you know that your router or modem isn’t working properly and rebooting and resetting it doesn’t fix glitches, it’s time to replace it. A misbehaving modem or router makes it hard for you to have a stable internet connection. But before purchasing a new one, it’s best to try a different device in its place or to bring it to a technician. By doing so, you can be sure that it’s indeed the source of your problem. IPv6 or Internet Protocol version 6 is the latest Internet Protocol version. IPs are communications protocols that provide a location and an identification system for computers on routes and networks traffic across the internet. Next, click “local area connection.” On the pop-up window, tap details. Wait for another pop-up to appear, and click the properties button. Lastly, uncheck the box beside “Internet Protocol Version (TCP/IPv6).” After that, hit the ok button. Windows usually install and save extra connections from previous plugged devices such as modems and routers. These connections can cause network issues. It can also make your computer display the DNS server not responding message. When this happens, remove the other networks. a) Click or press windows key. a window that displays all networks in your computer. 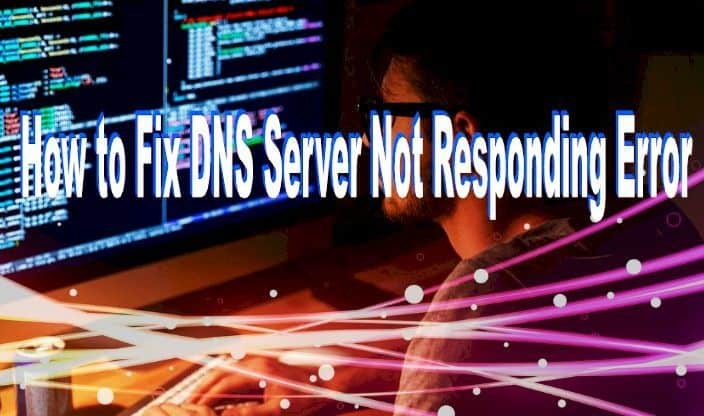 Many network connectivity issues are related to problems with Domain Name Systems or DNS. One of them is the DNS server not responding issue. The solutions listed above can solve this error. It’s recommended that you try to know the root cause first before doing anything to save time and refrain from making unnecessary changes to your computer and devices.